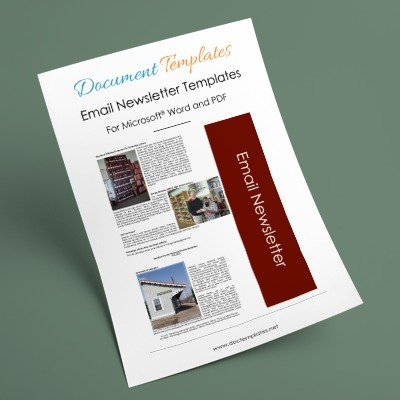 Creating a newsletter for your business or personal endeavor is a very powerful and easy way to keep in touch with your audience. It is easy to fill the newspaper with details about special events, general news, and updates about things that readers would like to know about. However, creating a professional looking newspaper might seem frustrating and difficult for those without experience. 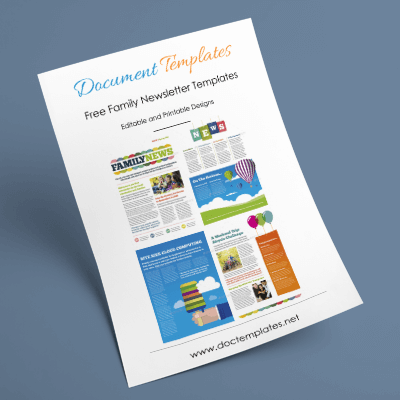 Fortunately, a newspaper template is a very easy and convenient way to streamline the entire process and produce a newspaper for emails or a newspaper for headlines quickly. Today, everyone likes to communicate with a quick email message. Therefore, many business people and organizations are emailing their newspaper to clients. These are also called email newsletters. This is still essentially an online newspaper that you create with a newspaper template. 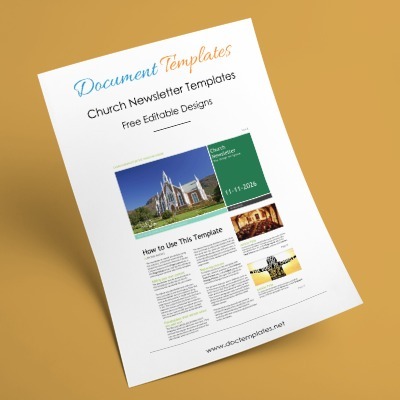 Most of the templates require that you download them to your computer. It is essential to have Microsoft® Word or a similar program on your computer. 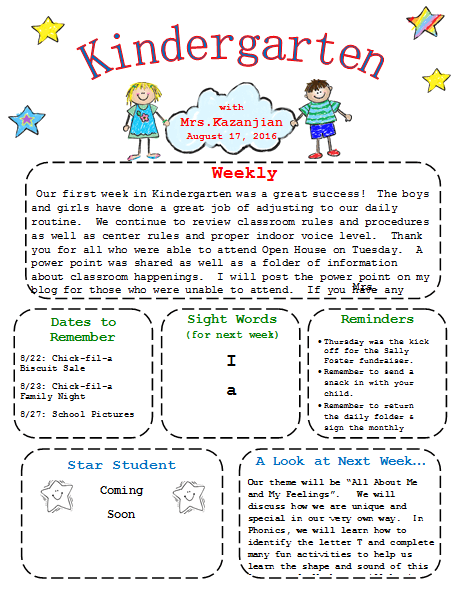 Open up the newspaper template in the Word program. 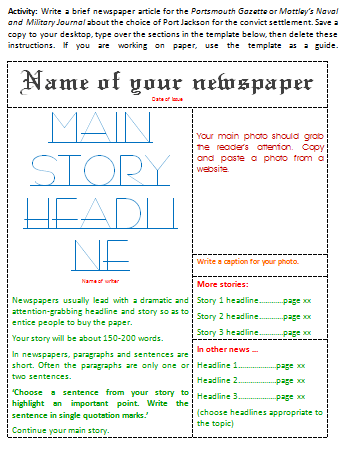 Most newspaper templates are already arranged so that you can just fill in your information or add your company or organization details. 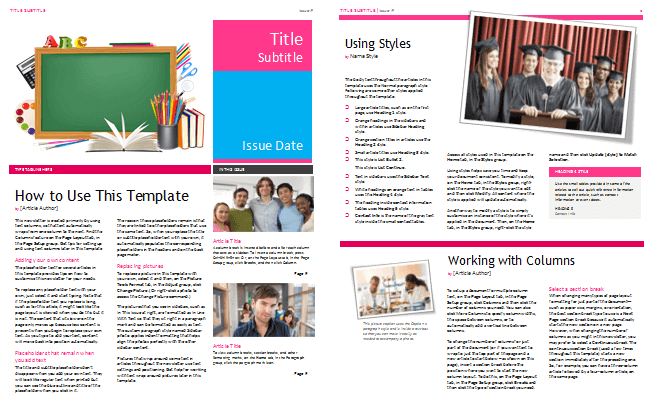 The best part about using the newspaper template is that you do not have to have any type of publishing or newspaper experience to produce a very professional looking paper. For example, the title can be easily changed. Simply click on the title and add the name of your company or organization. It is also easy to get creative and change the look and size of the fonts. Even change color of the fonts to match company logo’s. Add some great looking images of company personnel or anything else required. Add articles or stories about the company, updates, or details about new products or services. 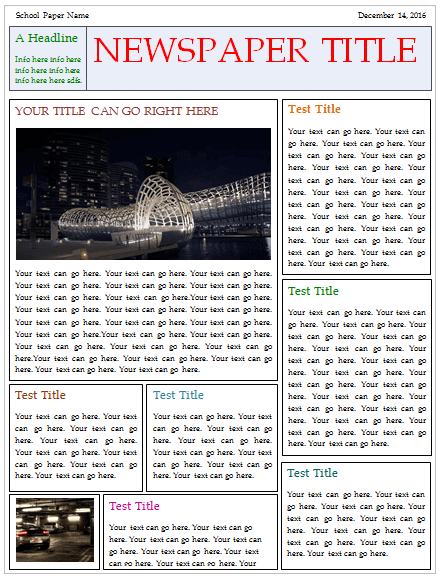 Download a professional quality newspaper template for great professional results.